Peacefully, on February 4, 2019 at 97 years of age. Reunited with her beloved husband William (2005). Loving mother of Alan and wife Darlene. 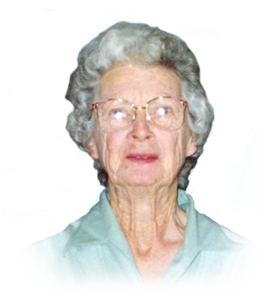 Treasured grandmother of Jacqueline Eulenhaupt. If you so desire, donations to the Lung Association would be appreciated by the family. A private family service will be taking place at 10:00am Families First 3260 Dougall Ave. South Windsor, 519-969-5841. Interment to follow at 11:00am at Victoria Memorial Gardens. Friends and neighbours are welcome to gather at Alan’s home on Thursday after 1:00 p.m.